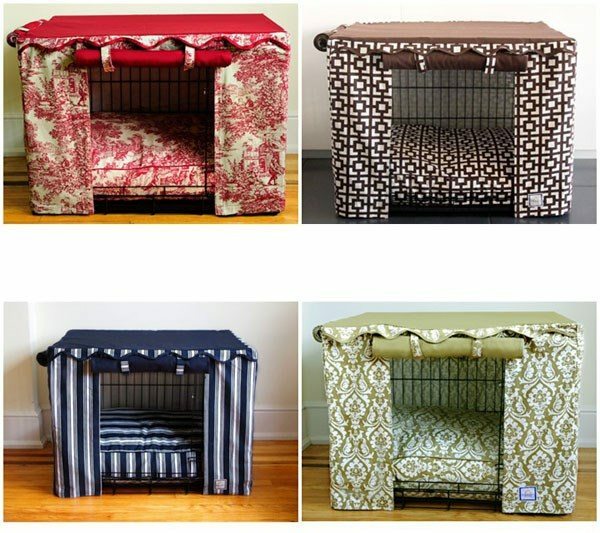 Dog crate and dog crate cover ideas – how to choose the right type? 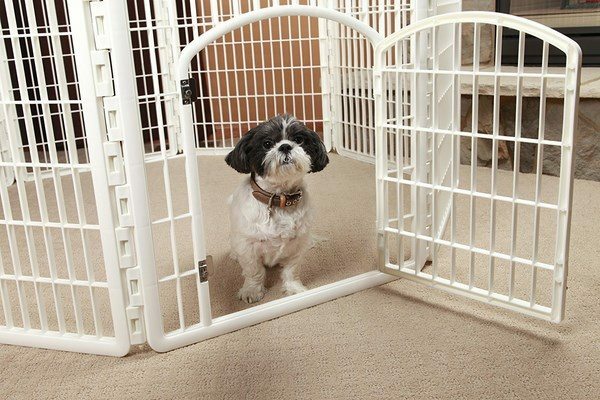 Dog crate and dog crate cover ideas will be of help to pet owners when you need to keep your home pet locked for whatever reason. 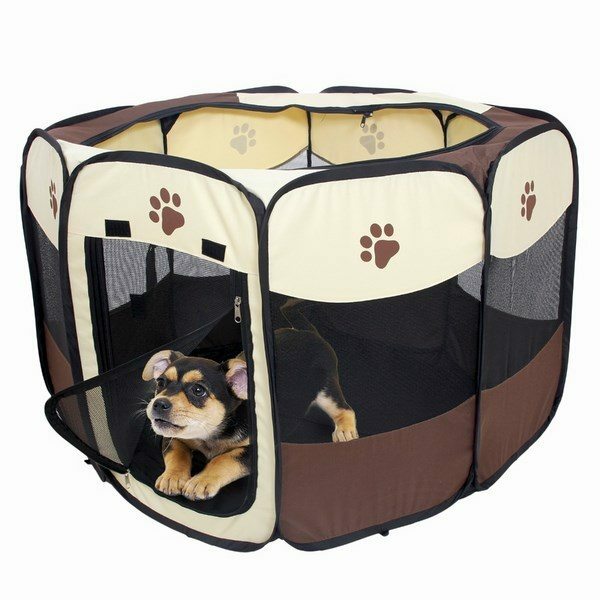 A dog crate is a necessity when you plan to travel or you need to keep the pet in the crate for a certain period of time, for example while cleaning the floor. Further to that such a piece of pet furniture can provide not only the comfort, but also the safety of your animal during transportation. A dog in a crate will not be able to jump out on the road from an open vehicle window or door. 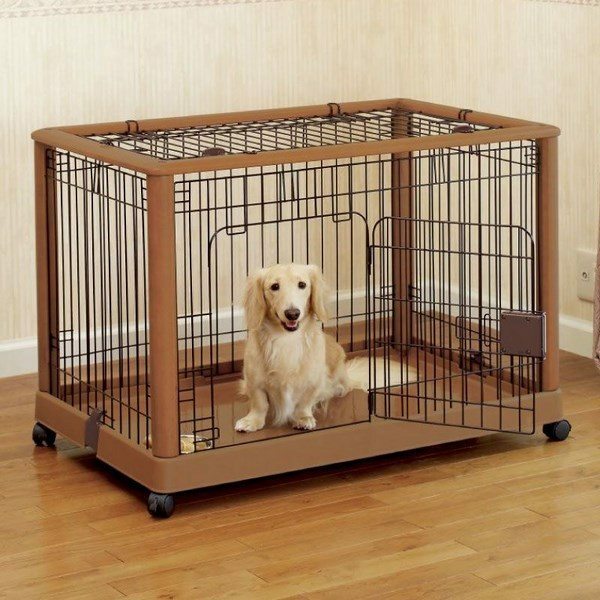 Dog crate and dog crate cover ideas – How to choose a dig crate suitable for the size of the dog? 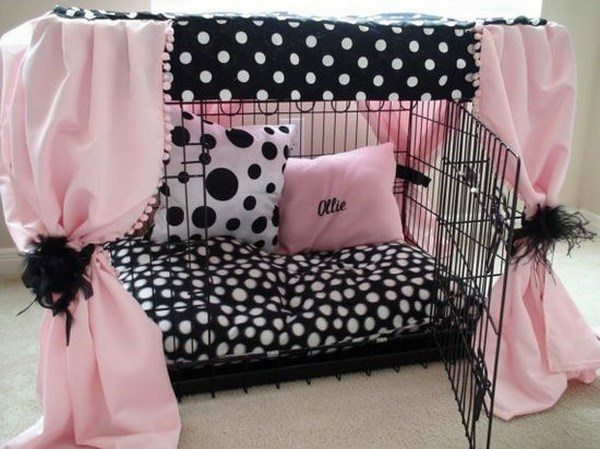 Dog crate and dog crate cover ideas come in numerous sizes, patterns and types. 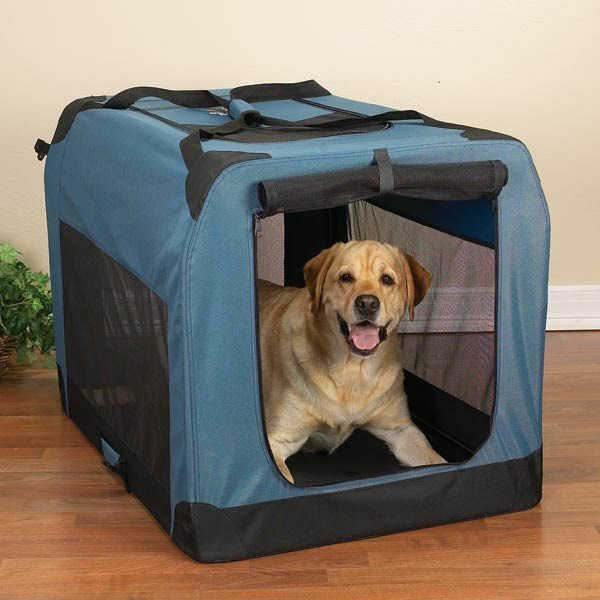 The right size of the crate is essential because your pet may spend a lot of time in it when traveling in a car or on a plane. So, how to choose the right size ? 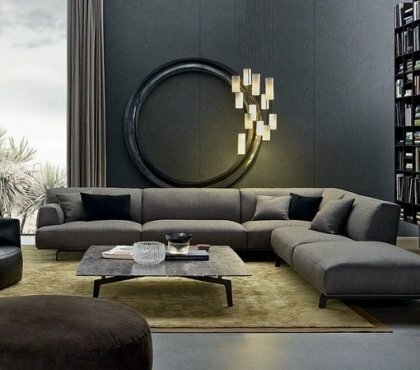 The first and most important factor when choosing the size is to provide enough space for the pet to change his position. 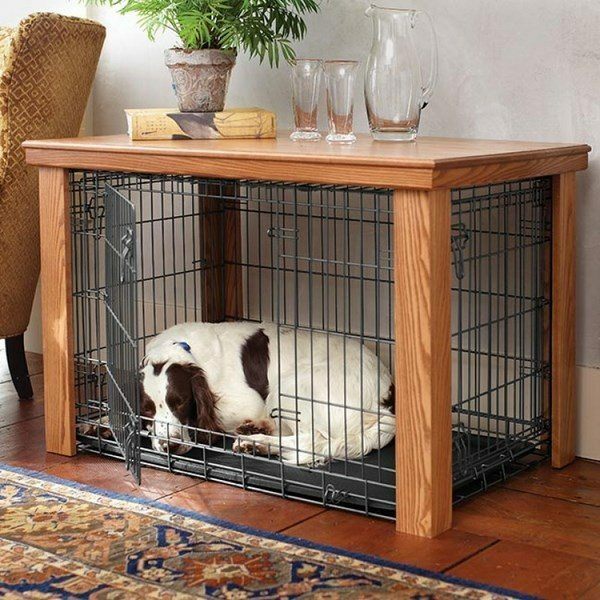 The dog should be able to sit in the crate without his head touching the top of the piece of furniture. 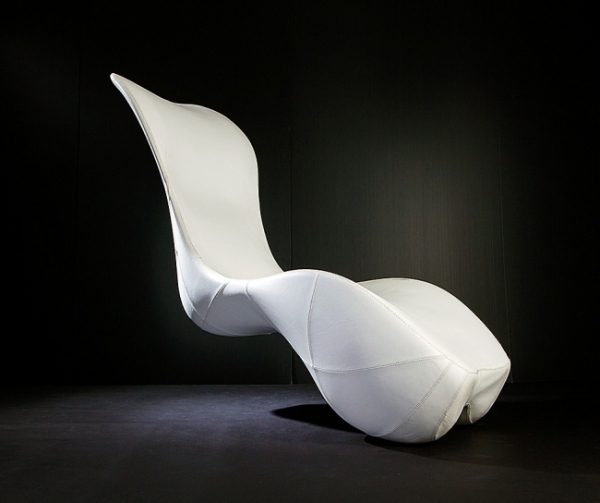 In addition, your pet should be able to lie comfortably in full length. Defining the size of a dog crate will depend on the size of the dog. For example, if you have a big dog like a St. Bernard, the length of a comfortable crate would be about 140 cm, height 70 cm, width 60 cm. 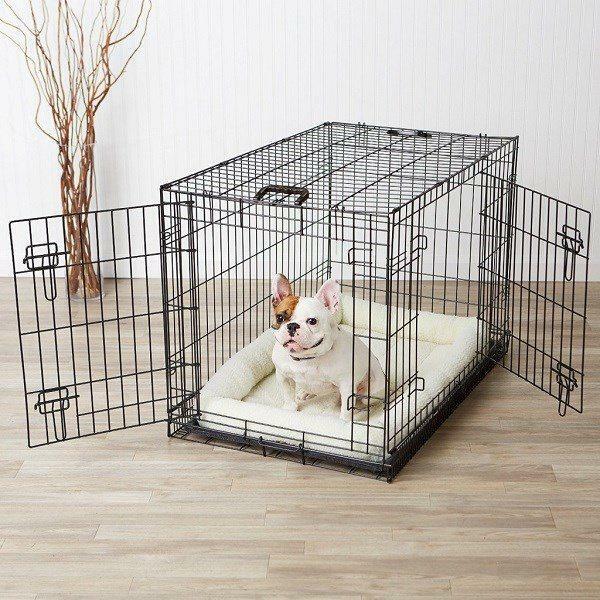 In such a crate, a big dog will feel comfortable. For a dog, like a German shepherd, a crate with a length of 120 centimeters, a height of 50 cm and a width of 40-50 centimeters would be a suitable choice. 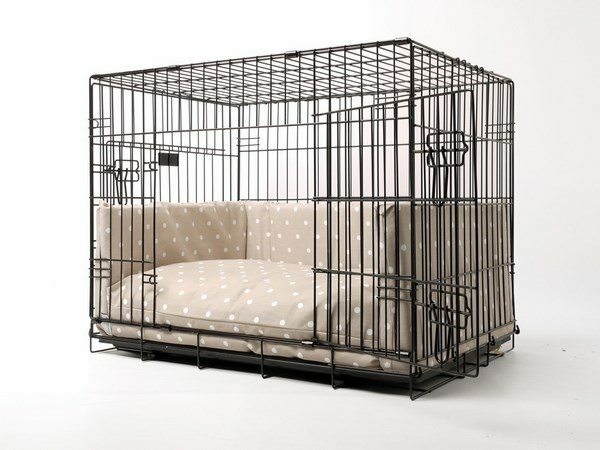 Such crates are suitable for Doberman, Dalmatian dogs, and the like. Smaller breeds, like bull terrier, Chow Chow and a bulldog will need a dog crate measuring length of 90 centimeters in height of 40-50 cm and a width of 40 centimeters. Crates come in a variety of models and are manufactured from different materials. Some homeowners prefer a custom made models incorporated in a piece of furniture or in a mudroom cabinet. 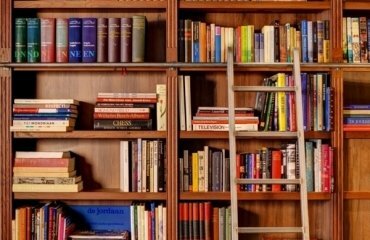 Let’s look at the different types and their pros and cons. 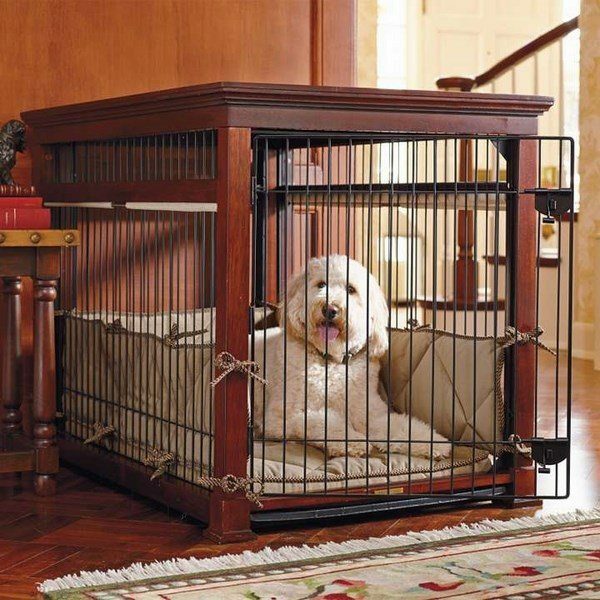 Wire crates are a good choice for dogs living in a hot climate or the breeds that have a heavy cot and get hot easily. You can choose a crate which can be folded for easier storage or transportation. 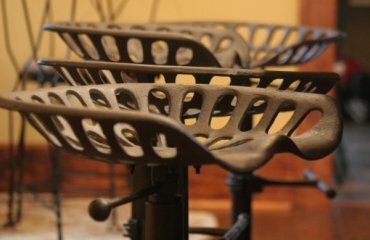 Usually, wire crates come with a removable floor tray for easy cleaning. On the downside of wire dog crates is that they may be noisier when the dog moves. His drawback is easily overcome by placing a piece of fabric or a thick cardboard between the floor and the bottom of the crate. Another disadvantage is that large crates are difficult to move. 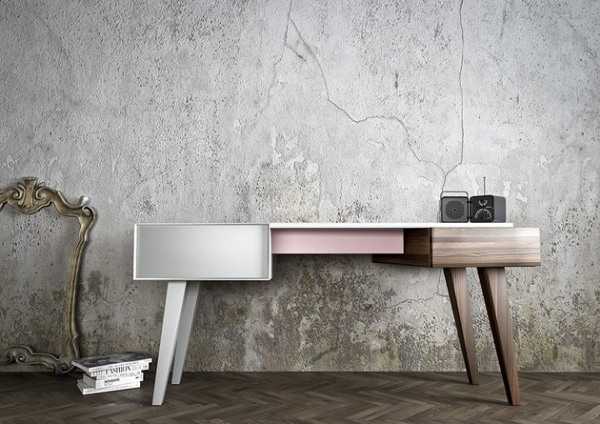 Despite the fact that wire models are very practical, there are people who find the appearance of a wire crates not very attractive. 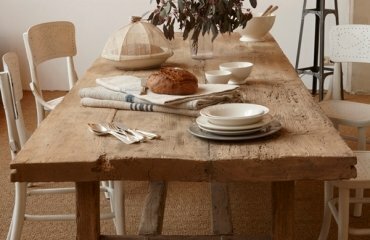 Of course, you can always opt for some other option which will be both pleasing to your eye and comfortable for the dog. Plastic models are very convenient for air travel. 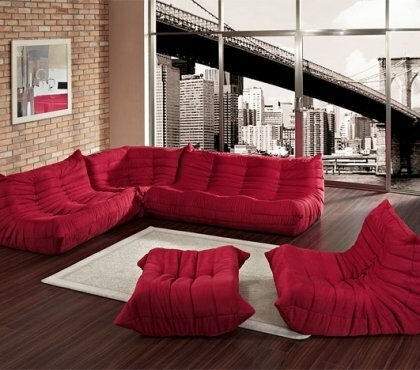 They are a good choice for dogs that like cozy spaces. 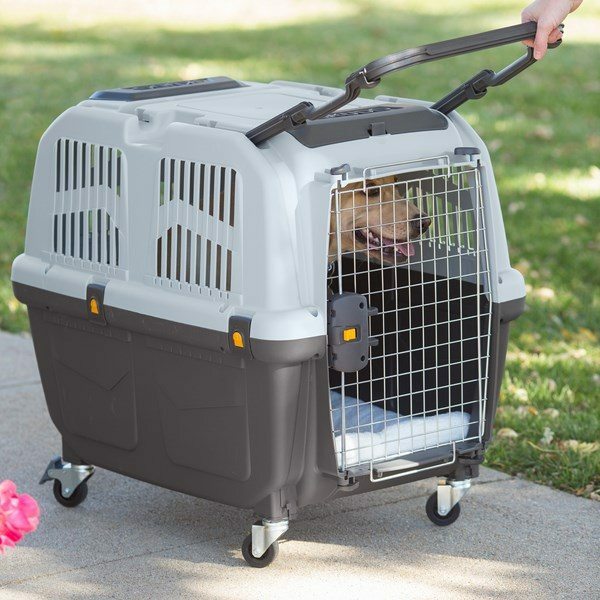 Plastic dog crates come in a variety of colors, some models are equipped with wheels and can be pulled easily and typically, the top cover of plastic pet crates can come off which makes the size of the crate significantly smaller and much more convenient for storage. 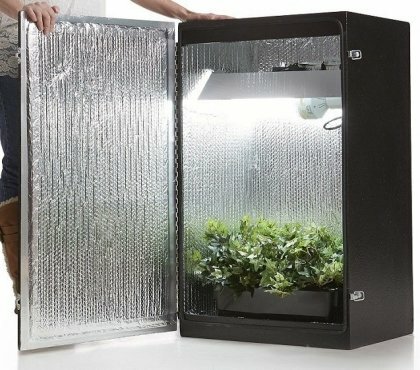 Plastic crates, however, tend to get hot and make your pet feel uncomfortable, so a good air circulation is very important. Soft sided crates have the advantage to be very lightweight and portable. 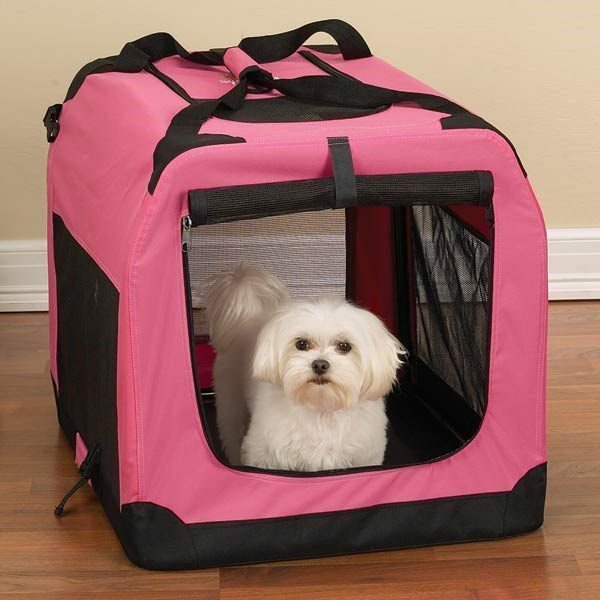 They are an excellent choice for small dogs and very functional and convenient for car travel, camping or picnic. This type of crates is the easiest to store when folded as it practically requires no more space than a bag. However, cleaning these dog crates may be challenging and clever dogs may learn how to unzip the door panel. 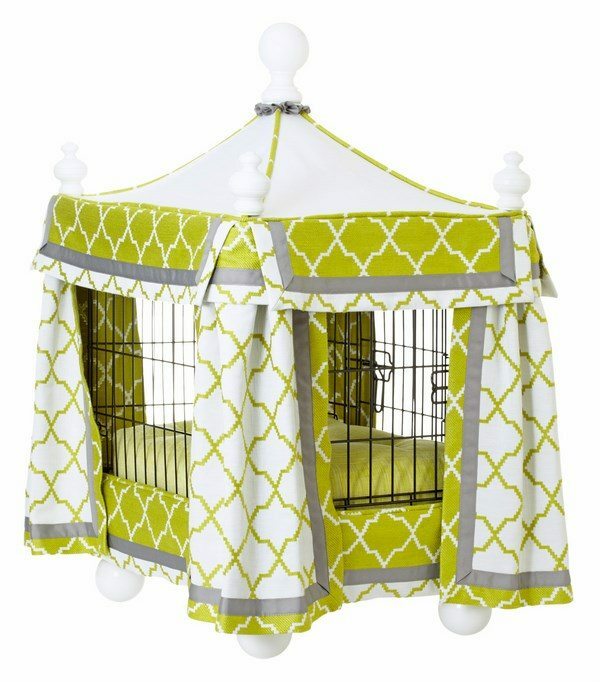 Special covers help you create a cozy and elegant environment for your pet. 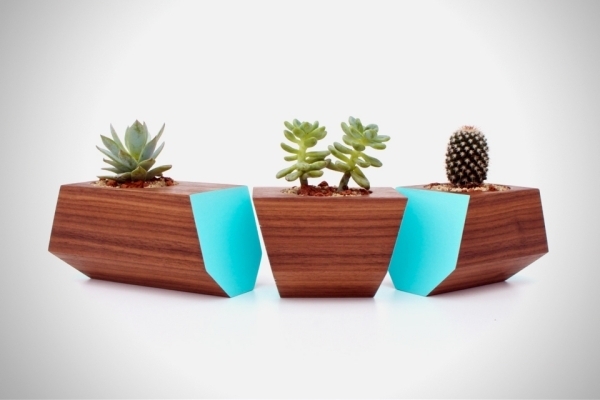 They are available in a variety of patterns and colors and can be made of almost anything. In the wild, dogs find a den or a safe where to sleep but when it comes to domestic dogs, it is the homeowner who should provide the den. 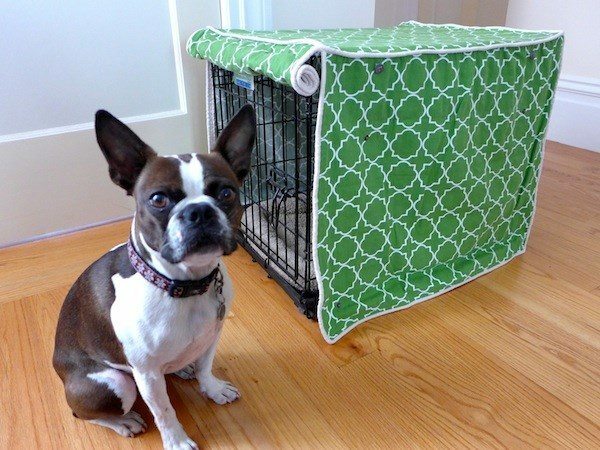 Besides making a dog crate a more comfortable place, crate covers significantly improve its appearance and sometimes something that simple as a cover will transform a crate in a dramatic way. 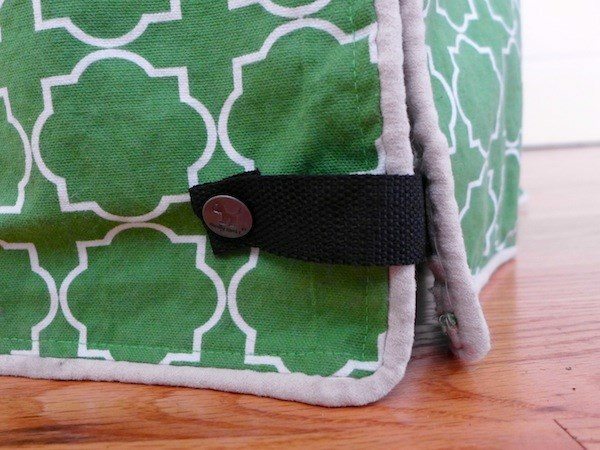 In addition, you can choose colors and patterns that will work with your interior color scheme and make the dog crate a part of it. 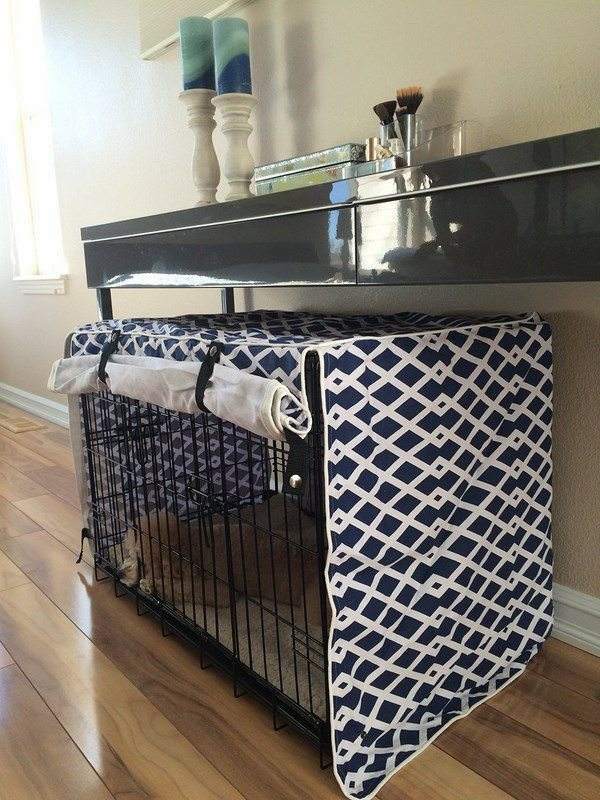 A dog crate cover can be made from worn out sheets, towels, pillowcases and blankets and to many people matching the dog crate cover to the home decor may sound silly, but if the dog sleeps in the living room or the entry hall and is exposed to the eyes of visitors, you wouldn’t want them to look at an old torn blanket, would you? 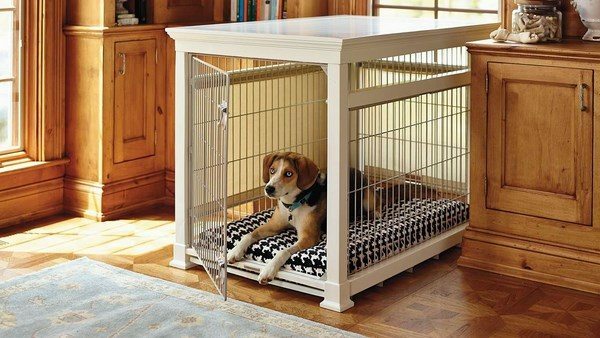 Dog crate covers do not cost a fortune and they last a long time so it is worth spending some money to make your pet crate look better.